About BlueLine Game Studios Inc.
Based in San Francisco, California / Durham, North Carolina. 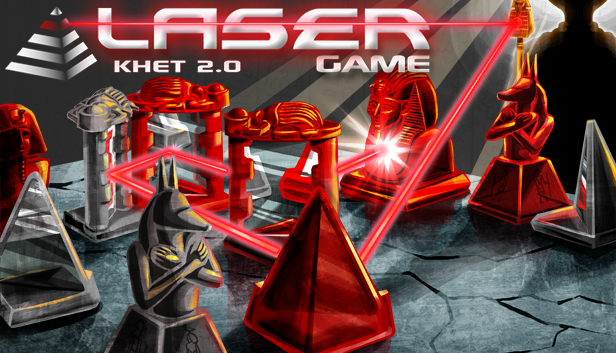 The Laser Game Khet 2.0: Mind blowing laser fun for players ages 9-99. 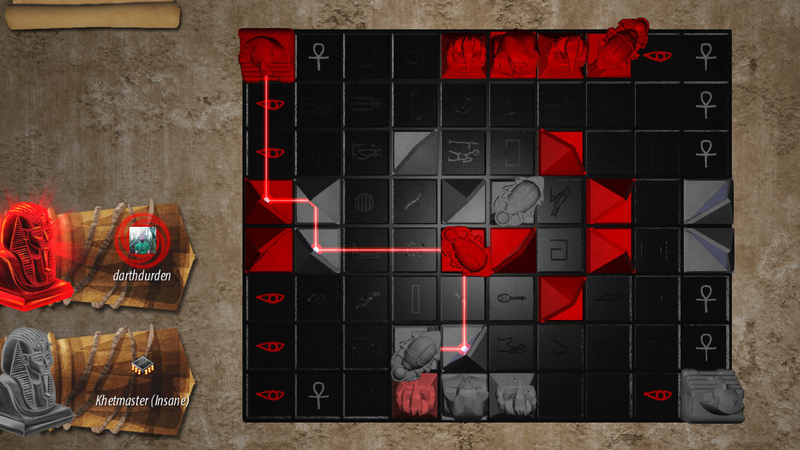 Using simple rules that can be learned in minutes players alternate turns moving Egyptian themed mirrored pieces, after which they fire their laser with the goal of blasting their opponents Pharaoh to win the game! 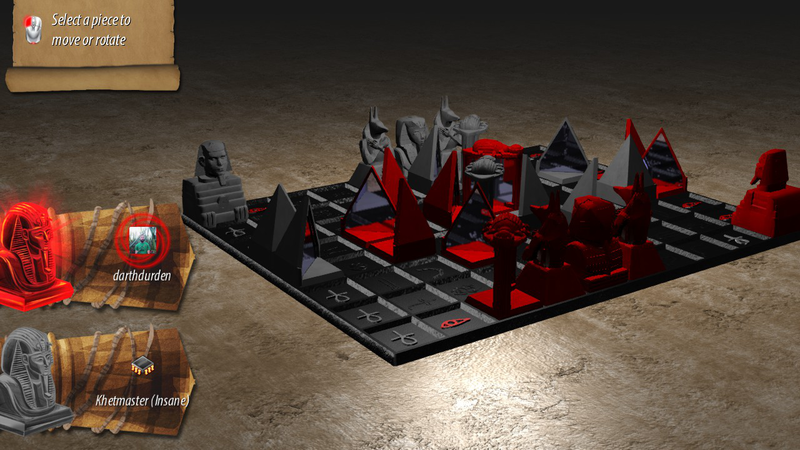 The board game 'Khet' (originally called 'Deflexion') came out in 2005 to critical acclaim and has grown a steady following since then. 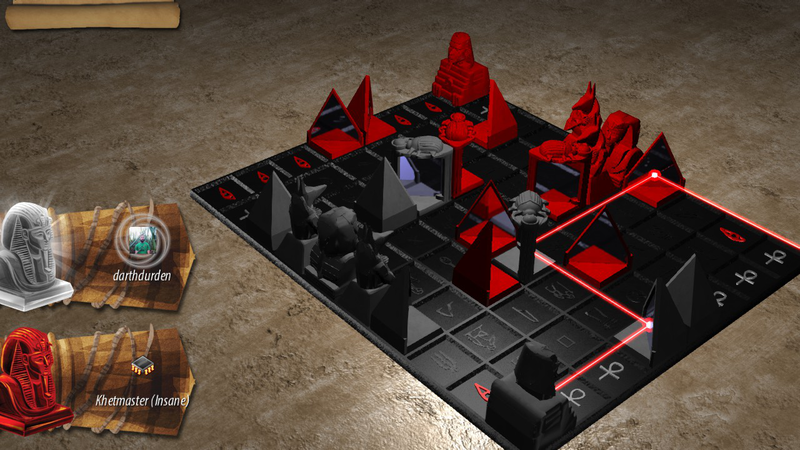 In 2011, a more portable version with improved rules was released: 'Khet 2.0'. 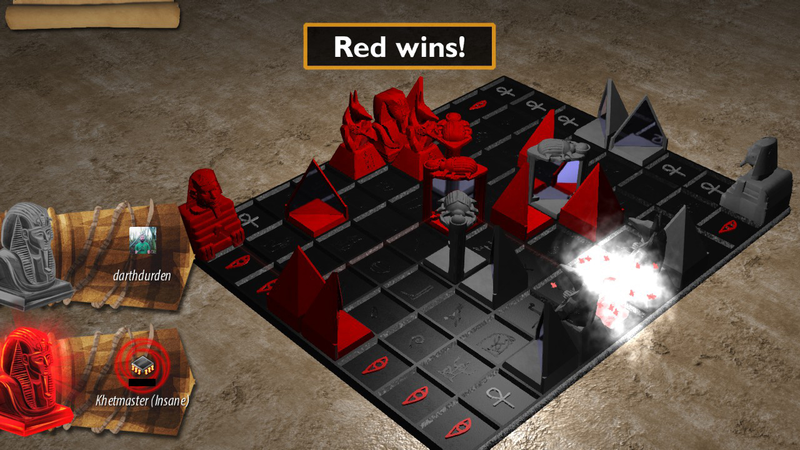 Years after Geoff first introduced Sean to Khet in college, the BlueLine Games developers knew that this was a game that would be perfect for a computer version. 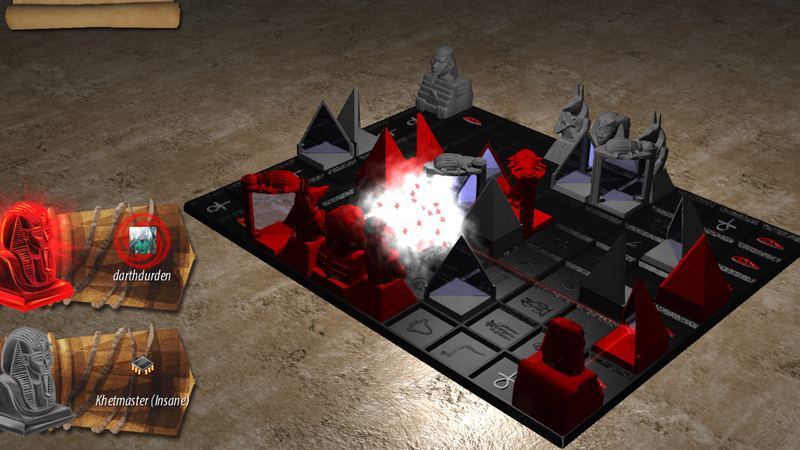 Khet was one of the main reasons that BlueLine chose to pursue digital conversions of board games. Three years after the founding of BlueLine Games, this small Indie Dev team's vision has finally become a reality! Play against the computer – AI with five difficulty levels. The Khet board game is a winner of many awards including "Mensa Select", "Popular Science: Best of 2011 Toy Fair", and was a Toy Association "Toy of the Year Finalist". "Mensa Select" Board game is recipient of the Mensa Select award by the world's first High IQ society. 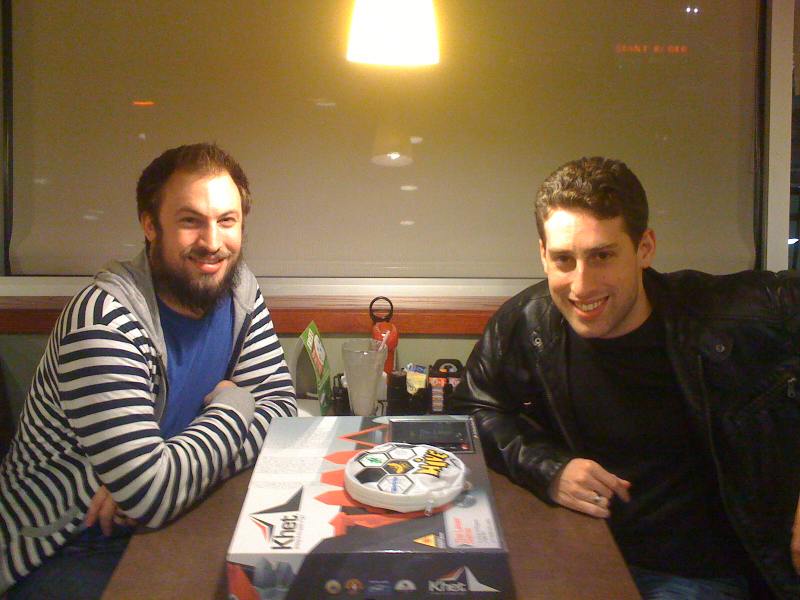 "Popular Science: Best of 2011 Toy Fair"
"Toy Association "Toy of the Year Finalist""
BlueLine Game Studios is an Indie Game company that specializes in licensing popular, award-winning board games and making digital versions of them. As a theme, most of BlueLine's games are very simple to learn but offer a great deal of depth to those who want to become more advanced. 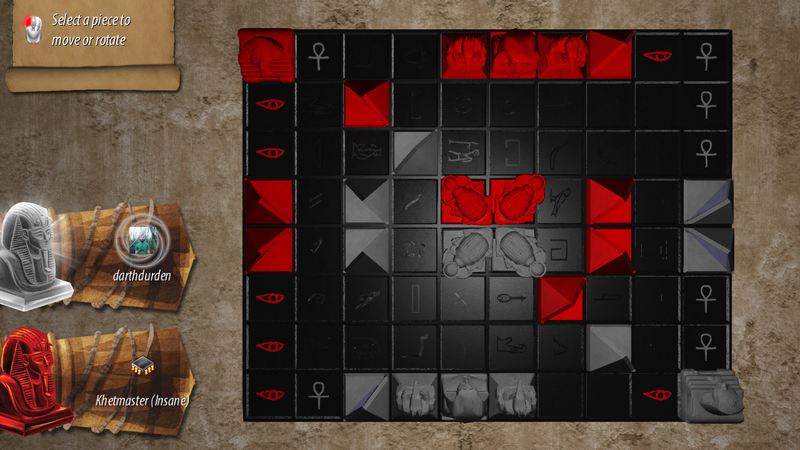 The first two major releases, "Hive" and "Khet 2.0", are both Mensa Select award winners and the company was founded by a member of Mensa; at the same time, the minimum recommended age for the games is 9 years old. This wide range of accessibility has lead to a very large and diverse user-base. More information on BlueLine Game Studios Inc., our logo & relevant media are available here.